I wasn't at the job for more than a couple of months when they hired a young man with Down Syndrome to be our "copy guy" at ABC. I was impressed that the ABC Television Network would work with the state of California on a program that would position Bobby (name has been changed to protect his privacy) as being part of the ABC team. I got to know a bit about Bobby over the years and I knew he had a loving family, a girlfriend, he took two modes of transportation to get to the office and he was involved in Special Olympics and Best Buddies. Bobby was a hard working American and when he won medals at Special Olympics games he wore them proudly into the office. During my tenure with ABC, I had flown to Minnesota to work on a primetime summer television special about the Special Olympics. I met Prince and Warren Beatty on that special shoot, but the far more intriguing people were the athletes involved in Special Olympics. No offense to either Prince or Warren Beatty. I was living 1745 miles as the crow flies from Chicago, but I had kept in touch with Margie Doyle. Margie Doyle is one of those people that had it made. She loved her family; and she had been encouraged throughout her life by good friendships. She was a loving daughter to her parents, Jim and Rita; and an equally loving wife to Sean. She was mom to John, Patrick, Tara and Brian. The Doyle's were fortunate to be living the good life and they knew it. Like everyone else on planet earth, their lives included its share of ups and downs. Sean, having been diagnosed with cancer as a young father made his family realize that life came with times of joy and celebration as well as fear and intimidation. At the age of 45, Margie and Sean found out they were to be parents for a fifth time. 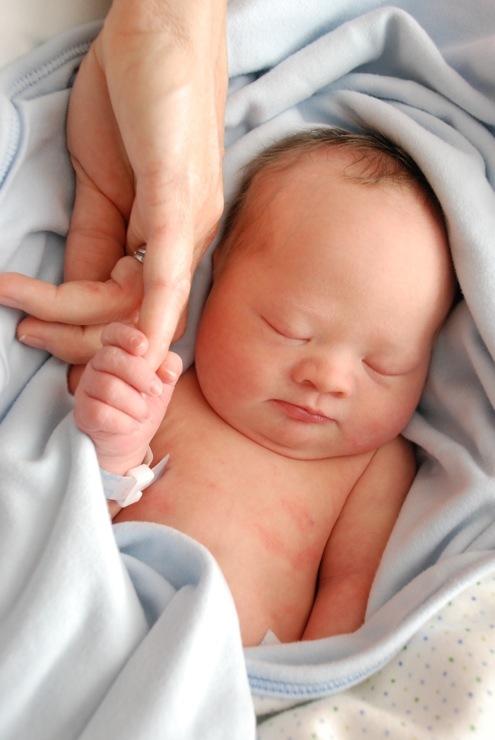 The Doyle’s learned early on in the pregnancy that their unborn son had Down Syndrome. Margie was in her eleventh week of pregnancy. It was a life altering moment. They both came to realize that although they were parents to four other children already, they were now in frighteningly unfamiliar territory. In June, 2008, Colin James Doyle entered the world and the Doyle family was now complete. Colin was born with Down Syndrome. Life had been altered, but joy and intimidation often go hand in hand. Margie Doyle is a relentless lover of life and a tireless fundraiser. Long before her own son arrived in the world, Margie was selflessly giving of her time and talent on behalf of Cystic Fibrosis. Chicago is a hub of major fundraising and Funding Futures provides individuals with Down Syndrome opportunities and independence by supplementing cognitive research for the Down Syndrome Research and Treatment Foundation. Margie sat down with me over a lovely summertime outdoor lunch and we talked about the upcoming fundraiser, life, family, change and dreams. Judith: What went through your mind as you were about to embark on a different type of pregnancy, particularly as you were at the time slightly older than the average mom? Margie: Joy, fear of the unknown, and God went through my mind. I had been blessed with four other children, so I knew full well what a tremendous gift a new life was. My age didn’t concern me. I new there would be higher risks, but I felt physically fit to carry on. Having witnessed the faith of my parents and extended family, and the difficult times in their life that they carried on through their faith, I was confident in how my faith would see me through it all. Judith: You were active in raising funds for Cystic Fibrosis prior to the birth of Colin, so how did you use those skills and apply them to the world of Down Syndrome Research? Margie: Ironically, it was a smooth transition and it happened before Colin was even born. Having been involved with Cystic Fibrosis during the decoding of the genome and witnessing the excitement with the research community, because of the information they now had, I hoped and prayed the same for individuals with Down Syndrome, especially my unborn son. I certainly don’t know much in the area of science, but I knew Cystic Fibrosis was a chromosomal anomaly and I knew Down Syndrome was too. With that wee bit of knowledge I began an Internet search looking and hoping to find research being done for individuals with Down Syndrome to help improve cognition. I immediately followed DSRTF and became more and more involved. I attempted to speak to doctors, parents and therapists about this exciting research, only to learn people were stunned. No one knew or heard of this within my circles. This research needed support. Colin needed support and thankfully I had some background to begin to provide the support. Judith: Tell us a bit about your work with Down Syndrome Research and Treatment Foundation (DSRTF)? Margie: I've been blessed with a wonderful family and some good friends. With such a foundation in my life I was able to reach out for support and ask others to help me raise awareness and funds to support research; and of course my friends, rose to the occasion. Many people assist by generously supporting the annual event we host in Chicago, Funding Futures. Others assist via introductions to colleagues, other families, or persons that can assist in raising awareness in the media. This support has allowed me to hold forums, speaking engagements, events to raise money and every aspect is helping us to further educate and fund the ongoing research. Judith: Colin’s day is not a typical one for a five year old. I know that his therapies alone add to the day to day. He has physical therapy, occupational therapy, speech therapy and a great deal is involved. How have you adjusted and how does Colin adjust? Margie: Colin is doing fantastic! He has benefited from all the wonderful therapy provided through early intervention at Aspire and is now enrolled in Kindergarten. We are fortunate to be able to be so involved as Colin’s health has been very good. I have tremendous support from Sean. Our other children feel the same and do their part and so this is a family effort. Colin inspires us all and we respond. When I had the tremendous opportunity to present at the United Nations for World Down Syndrome Day a very similar question was asked and my answer then, as it is now, is that Colin leads the way. Each day I see Colin face obstacles that his siblings have never encountered, and likely never will in their lifetime, and he perseveres. He has an innate desire to learn, make friends, communicate and he does all that he can to attain these goals, therefore, our family easily recognizes our responsibility to do the same. Judith: You’ve become a community outreach leader? What exactly does that mean? What do you do? Margie: I basically reach out to the community in any capacity possible. As I mentioned, I have presented at different organizations within the Down Syndrome community (NADS, Ups for Downs) as well as for a team of nurses, doctors and therapists. Much of what I do is about raising awareness. Judith: Tell us about the upcoming Funding Futures event in Chicago? Judith: Obviously, this is personal, but what is driving this cause beyond the personal for you? Margie: It is imperative we attain the private funds because at this time, the NIH (National Institutes of Health) is responsible for distributing government funding for research. Currently, the NIH is only allocating $50 per person for Down Syndrome research. For the sake of comparisons, Cystic Fibrosis is allocated $2800 per person. This disparity is threatening our progress, and as a parent this burden falls squarely on my shoulders. Until we gain the support of the NIH, this research is dependent on private funding. Judith: You mentioned you were a presenter at the United Nations for World Down Syndrome day. That's a prestigious event to be included in. How did that opportunity come your way? Explain the role the U.N. is playing in this area? Margie: In 2012, the United States for the first time became a participant in World Down Syndrome Day and so DSRTF had the opportunity to present an update on the ongoing research and clinical trials. It was an inspirational day in my life. I had the good fortune to meet advocates and listen to their hopes and dreams, and just how hard they are willing to work to attain them. Judith: My father died from Alzheimer's disease. I was fascinated to learn there are links between Alzheimer's and Down Syndrome. Explain the links between Alzheimer’s disease and Down Syndrome? Margie: The APP protein, which is the product of a gene on human chromosome 21, contributes to the degeneration of specific neuronal circuits important for learning and memory. This same neuronal degeneration is also a characteristic feature of Alzheimer’s disease. This gene is on the 21 chromosome and it is naturally duplicated already in Down Syndrome due to the trisomy. As a result, all individuals with Down Syndrome are at risk for the early onset of Alzheimer's, as early as their late 30s. It is critical to fund this research so that the tremendous progress that people with Down Syndrome strive a lifetime to achieve is not met with decline at an early age. 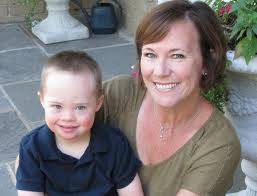 Judith: If people want to learn more about Down Syndrome and the research involved in this issue where should they turn? Margie: Down Syndrome Research and Treatment Foundation is the largest foundation in the US with the focus on cognition and prevention of early Alzheimer’s disease in Down Syndrome. This mission is to allow for improvement in cognition, learning and memory and allow for more independent lives for those we love with Down Syndrome and the prevention of Alzheimer’s disease. Judith: We all have people we admire, respect and look up to. Those ideals of admiration change throughout our lives.Who are your heroes today? Margie: The parents of the children with Down Syndrome from years ago who were told “your son/daughter will amount to nothing and only be a drain on the family." Instead of heeding the "professional" advice, they walked out of the hospital with their head held high and their heart intact. Also, the parents that I once saw a video of from the first Special Olympics when they walked into Soldier’s Field, into an empty stadium, filled with pride for their child’s efforts and accomplishments. Today, these stadiums are filled with people cheering on our athletes and tremendous celebration. These parents and families paved a way through society that I will forever be grateful for. Of course, the researchers we fund who are striving to help us find ways to help our loved ones. There is plenty of money available for other efforts, such as tests for early detection of chromosomal anomalies, but the commitment of these researchers that DSRTF funds involves a commitment beyond the dollar. Judith: What is the one thing that has been the most surprising situation in your life with Colin? Margie: The joy of small things, when your life is forced to slow down and observe, there is tremendous beauty and joy that can easily be overlooked in the rush. Judith: None of us appreciate the simplicities of life enough. Many people are wonderfully kind and compassionate and then you have a few not so compassionate people, here and there. Any stories you would want to share regarding the day to day of your experiences? Margie: You are right, some people are less than ideal, but we have met the most wonderful and compassionate people through Colin. Now, it’s funny because we feel that Colin is a filter. His being in our life immediately allows us to filter out the people we have no desire to be a part of and shines a bright light on the many people of true character and love. Colin gravitates towards these people and they to him, it is a natural phenomenon. Judith: These are tough decisions for people. The financial issues? The daily differences in life? Did at any time you consider not going through with your pregnancy once you knew you were carrying a child with Down Syndrome? Margie: Abortion, as we all know is a very difficult topic and as a mother of a child with Down Syndrome knowing the abortion rate is 92% I am profoundly saddened to even think of it, but think of it I must. Although, I do not know what goes through any one's mind or soul, when they come to find abortion as the solution, I believe with all my heart that fear is a driving force. Fear can be eliminated with knowledge and good information, because information matters. When I think of the “advice and direction” I was given a mere 5 years ago the only word that comes to mind is barbaric. How can educated people, professionals, be so uninformed? Ironically, it is those without knowledge or life experience that claim to “know” or deem it is reasonable to abort a human life with Down Syndrome. Who can predetermine the worthiness of any life that is not yet lived, or denied the opportunity to live? Was any one of us promised a life without possible difficulty, or an easy path? Perhaps in striving to filter out what we fear makes life difficult - what is also filtered out is “life” in all of its complexities and stunning revelation of true beauty. Judith: Growing up, what were your dreams and aspirations? Margie: I guess I would have to refer to a poem I have had on my desk as a point of reference for the last 30 years. My hope is to hit it on one aspect. "To laugh often and much; to win the respect of intelligent people and affection of children; to earn the appreciation of honest critics and endure the betrayal of false friends; to appreciate beauty, to find the best in others; to leave the world a bit better, whether by a healthy child, a garden patch or redeemed social condition; to know even one life has breathed easier because you have lived. This is to have succeeded." Judith: You have a busy couple of months leading to the annual fundraiser, so before you get there what do you and your family do for fun and relaxation? Margie: We go to the Beach! There sure are some great truths in this wonderful story. Truths to live by.